John Cramer Jr. spent his formative years in Washington state, where his father taught him how to hand-craft pens. He utilized this knowledge to establish Stylo Ink, a successful artisan pen company, to sell his exotic wood and acrylic pens. This venture was started as a means to pay for his college education without debt; today, his company is a platform to inspire other students to become entrepreneurial leaders in their communities. He also supports causes such as reforestation and disaster relief with company profits. A born entrepreneur, John focused his efforts on business and networking. Before he turned 18, he served as an ambassador for Washington Business Week, was an international DECA competitor, and founded a successful pen company. John strives to equip other young entrepreneurs with the skills and tools they need to succeed. His goal is to lead a movement of positive change. Currently, John Cramer Jr. attends his dream college: Liberty University. He has the ambitious goal to complete his undergraduate degree in business administration with double majors in Entrepreneurship and International Business, and a master’s in Business Administration before pursuing his doctorate. Responsible for the cost of his education, John works part-time in addition to selling his hand-crafted pens through Stylo Ink. At Liberty University, John is an influential student leader. 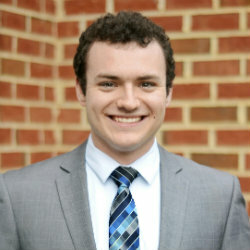 He is a part of student leadership with the Center for Entrepreneurship. Working alongside the director and other student leaders to run the Center, John networks with executives and business influencers on a weekly basis. Furthermore, he helps other student entrepreneurs achieve success. Additionally, John is a mentor and community group leader to the men on his hall at Liberty University. When you make a purchase from Stylo Ink, you are supporting the efforts and education of John Cramer Jr.
Stylo Ink sells hand-crafted pens, created with exotic wood and acrylic. Each pen is individually shaped and constructed by John Cramer Jr, “The Pen Guy”. Each purchase is completed, boxed, and shipped directly from Stylo Ink’s workshop, located near the scenic Blue Ridge Mountains of Virginia. These hand-made pens are perfect for everyone and come with a satisfaction guarantee. Whether it is for work, a personal investment, or a gift, you will be pleased with your purchase of a quality, hand-crafted pen from Stylo Ink. Interested in a one-of-a-kind pen? Custom orders are available by request.